What are the types of wood boring insects? 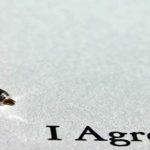 Can I treat woodworm myself? How is woodworm treatment carried out? What is the cost of woodworm treatment? Well, first of all, it’s not a worm. 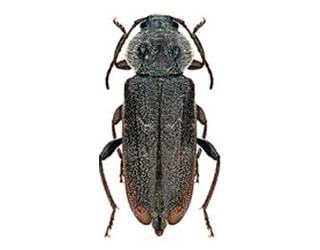 The insects that trigger woodworm damage are beetles or weevils. They lay eggs in small cracks in your furniture, beams and floorboards. The eggs hatch into larvae that burrow into the wood, remaining there for anything up to five years, potentially causing extensive harm. 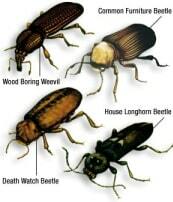 There are a number of different woodworm beetles. The one that you have can dictate the type and extent of your problem. 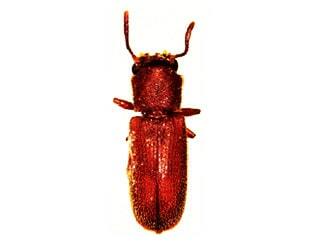 For example, wood boring beetles in house timbers can create greater destruction than woodworm in furniture. You may be surprised to learn that woodworm has a three-year life cycle from entering the wood and laying their eggs, to the insect-eating away at the wood and eventually leaving the surface via an exit hole. The life cycle of the woodworm is normally always near completion before most property owners are even aware they have a problem. The female adult beetle lays her eggs in a crack in the wood. These turn into larvae that eat into the wood, creating a network of tunnels that, over time, weaken the timber’s structure. After two – five years of tunnelling and eating, the larvae pupate and move to the wood’s surface. There they turn into adult beetles and bore their way out of the wood, creating the distinctive exit holes. You are also likely to see dust or ‘frass’, created by the larvae in the boreholes, appearing on the surface of the timber. The new adult beetles then mate, producing fertilised eggs, and the process starts all over again. The problem here is you cannot spot the larvae that cause all the damage, because they never come to the surface during their years of eating and tunnelling through your wood. Typically, the first sign of woodworm is when the exit holes appear. By then the larva has pupated, turned into a beetle and bored its way out. The destruction caused by that particular larva has been done. Which is why it’s essential to act as soon as you spot the first exit holes appearing. Once the adult beetles emerge, they will not harm your household timber but you may see them flying to sources of light, looking for new mates and territories. The life of an adult beetle is short – up to four days for a male and fourteen for a female. So another indication of an infestation is the sight of dead beetles, often on internal window ledges. 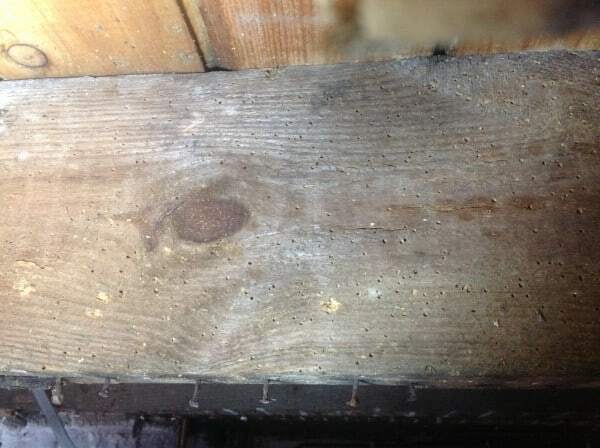 Click the following link for more information and images of what woodworm looks like? Woodworm isn’t infectious or contagious. If you place a ‘clean’ piece of timber next to one with woodworm, the infestation will not necessarily cross over. 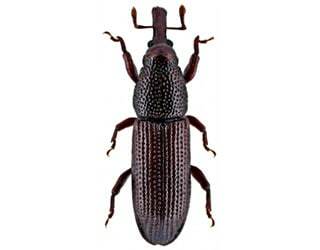 For one thing, the new timber may not be to your resident beetles’ taste. But that does not mean the woodworm cannot spread, particularly within the timber where it has originated. After all, in choosing that wood, a beetle has found a good place to raise her young, with the right timber and conditions. So when the new adults emerge, why would they choose to go anywhere else? This can be a particular problem where the potential for widening out the infestation in a piece of wood from its starting point is substantial, for example on a long roof beam. This is not always straightforward. One possible sign of fresh activity is the presence of frass around bore holes, particular where it might otherwise have been dispersed if not renewed (e.g. furniture legs in rooms that are used and cleaned). This test is less helpful in confined areas such as in roof spaces and under floorboards, which can remain untouched for many years. Another method is to plug an exit hole with beeswax or tissue paper and see if a new adult beetle bores through to escape the wood. However, you may have to wait up to a year to see any results. Because it can be difficult to get a clear indication, this is why you really need a woodworm treatment specialist, if in doubt. When a newly formed adult beetle bores out of the timber, they take to the air in search of a mate. Adult males only have four days to achieve this before they die, so they will be quite active, often heading towards sources of light. 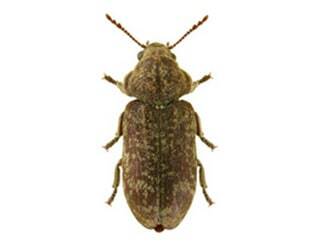 This ‘flight season’ lasts March-September and is a good time to spot woodworm beetles in your home. The key to this is the level of moisture in your timber. All woodworm larvae prefer higher moisture content, simply because it makes the wood easier to chew. So, you should eliminate any damp patches in your home that will affect structural timbers or house furniture. 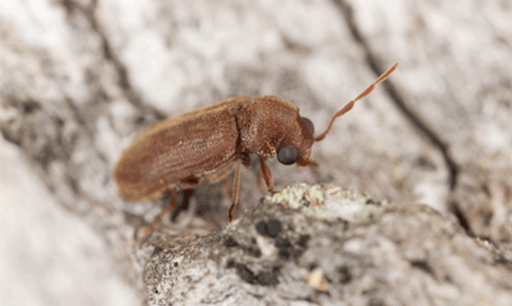 Furniture beetles tend to prefer hardwoods with the moisture content of 28% or above. But equally, they can survive with moisture down to 12%, but they find it harder to feed. So keep your home well heated and ventilated and, where appropriate, seal your wood with varnish. In addition, furniture made from good quality heartwood is more resistant. Common furniture larvae only eat the outer sapwood, because of its nutrients. It’s also toxin-free, unlike the inner heartwood of pine and oak. Heartwood is usually heavier which may give you a guide when buying your furniture. The other risk to avoid is bringing woodworm into your house. Always check new antique purchases for any evidence of worm and keep any stored firewood outdoors. You don’t want to invite a woodworm family to settle in, and eat you out of house and home, literally. So, how to get rid of woodworm? Your local DIY store will stock proprietary brands of woodworm killers. If you’re absolutely confident your infestation is isolated to, for example, one small piece of furniture, using this can be an appropriate course of action, ensuring you follow the application instructions carefully. 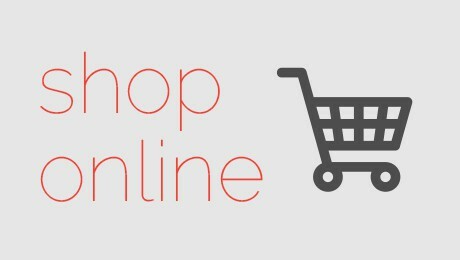 If you want to treat woodworm yourself, of course, the chemicals are available on sale in a range of different outlets. Be aware that using some of the available chemicals means you will need to observe COSHH regulations and you should ensure that you are adequately protected before you attempted any treatment. 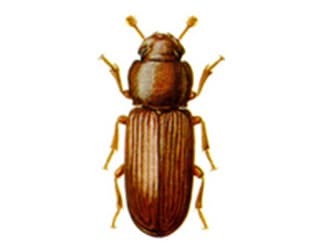 However, there are so many variables within woodworm problems – the type of beetle, the stage in its life cycle, how active it is, how extensive is it, is it actually woodworm at all? 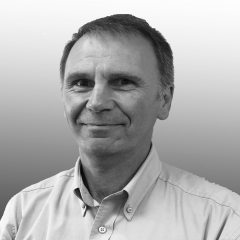 – that any bigger problem should be placed in the hands of woodworm specialists. If you don’t know the answer to these questions, you could be wasting both your time and money with self-treatment and, worse, the worm could continue to eat your household timbers without you knowing it. What looks ‘treated’ might be anything but. At Timberwise, we are woodworm specialists, treating properties for almost 50 years. 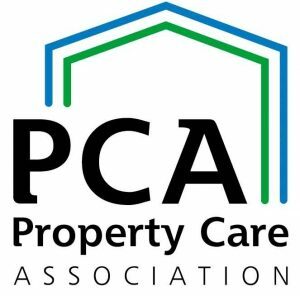 We are long-standing members of the Property Care Association and Which? Trusted Traders. This is the level of experience you need to ensure you get the right diagnosis and treatment. First, we establish the extent of the problem. 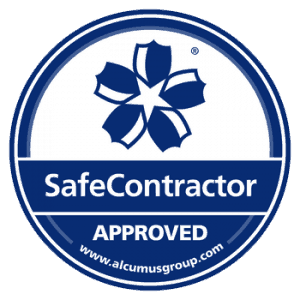 A fully trained and experienced surveyor will inspect your home. You need a thorough woodworm survey to ensure treatment is necessary in the first place. Use a woodworm treatment spray that kills the insects on contact. (These are water based to reduce any risks to individuals, pets and the environment.) 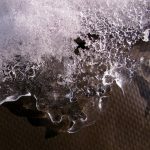 More in-depth treatments such as a penetrating insecticidal gel can also be applied. Remove and replace timber which is too damaged to be treated, particularly where required structurally. Alternatively, resin-based repairs may be used. Permethrin is effective against Common Furniture Beetle. For Death Watch beetle, we must also inject the treatment into the boreholes, as this beetle’s larvae lie deeper in the wood. For House Longhorn beetle, all timbers in your house must be checked for infestation and structural integrity, not just those visibly suffering from woodworm. If the attack turns out to be relatively limited, the same methods used for Death Watch beetle can be applied. 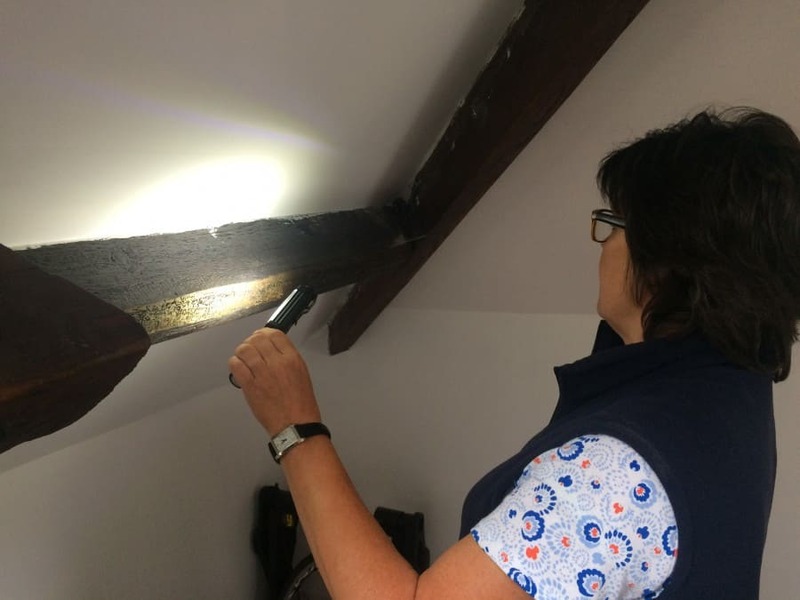 In order to provide with an accurate quotation, our woodworm specialist surveyors will need to carry out a full inspection to determine the best treatment for the property. Cost of the treatment can depend on the damage caused by the woodworm and the size of the infestation. If you are having problems with woodworm we always recommend that you should contact a specialist. Woodworm can cause significant damage if left untreated for a long period of time. 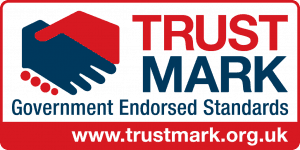 Our team of woodworm treatment specialists have over 50 years experience and with accreditations such as Which? 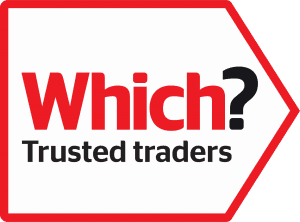 Trusted Trader and the Property Care Association you can be left assured your property is in good hands. 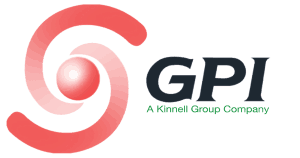 If you would like to get in touch with any of the topics discussed or to book a survey with one of our surveyors then simply fill in the form below.